Last week I had a chance to stop by the Smithsonian American Art Museum here in Washington to take a look at their new exhibit, The Civil War and American Art. One of the paintings on display is Eastman Johnson’s The Lord Is My Shepherd. 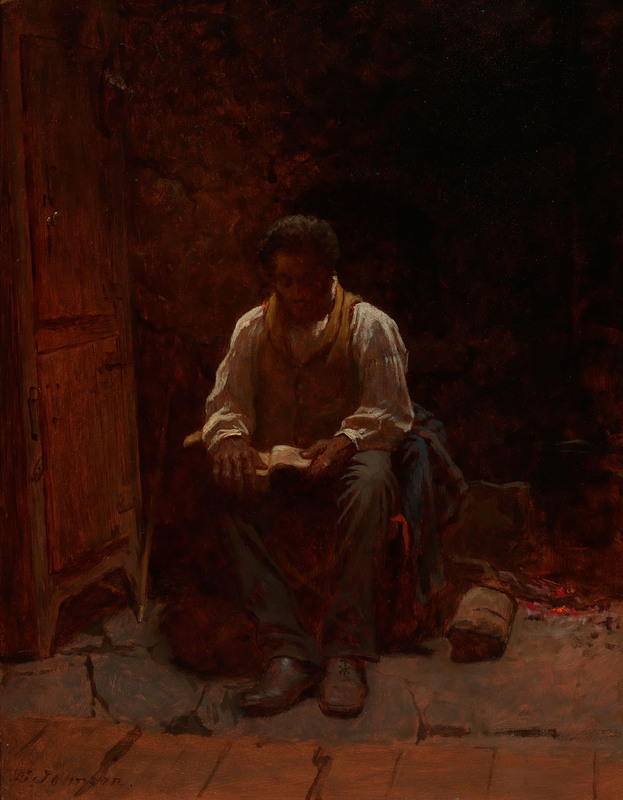 Completed just a few months after the Emancipation Proclamation, it depicts an African-American man reading from a Bible. The exhibition is on display at the Smithsonian American Art Museum until April 28th, and then moves on to The Metropolitan Museum of Art in New York in May.